Every year, on March 8, the world honours the women across the globe. On this International Women's Day, AJSH raised a toast to the true essence of womanhood. 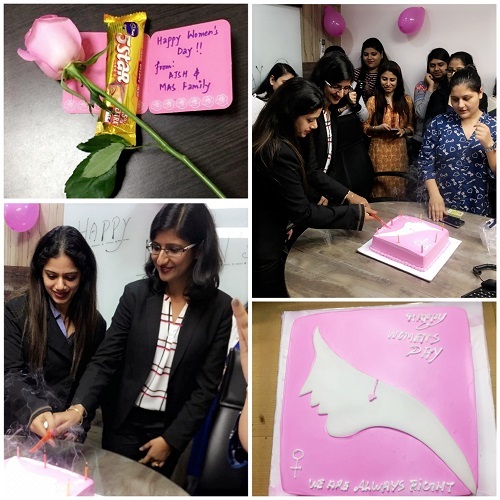 A tiny gesture of flowers and chocolates made by the team for all the women at AJSH left an indelible imprint on their heart and soul. Cake cutting by all the women was the highlight of the evening. It was followed by a game session and motivational talks for women's outstanding contribution to tribute every powerful women of our organization. Here is a glimpse of our celebration believing every woman is a best version of herself using every opportunity that comes her way in that direction. The New York India Business Roundtable 2019 was an excellent opportunity for us to meet, explore and discuss on how one can amplify business in North America, by establishing base in the New York State. The roundtable enabled meeting with the New York State Government's principal economic development department - Empire State Development, thereby facilitating business opportunities in the New York State and North America. The roundtable was supported by the United States Commercial Services (USCS) and the Embassy of the United States of America, offering remarks on business opportunities in the United States. 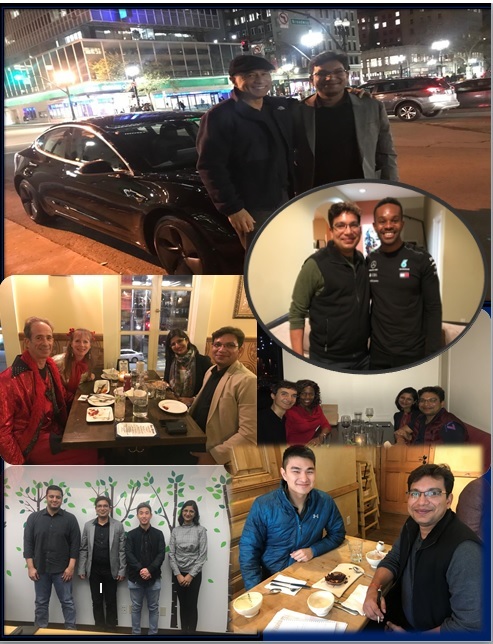 To sum up the entire experience, the cooperation and generosity displayed by the plethora of diverse members attending the event was in itself evident that a brighter future and partnership in this segment is approaching. Recently Mr. Siddhartha Havelia, Managing Partner of AJSH & Co LLP successfully exchanged cards in US. We as a service provider always strive to build strong business relationship with the ongoing as well as prospective clients in order to maintain scrupulous alliance with them and we groove on this. We believe this is an essential measure in order to grow fundamentally on every ground. 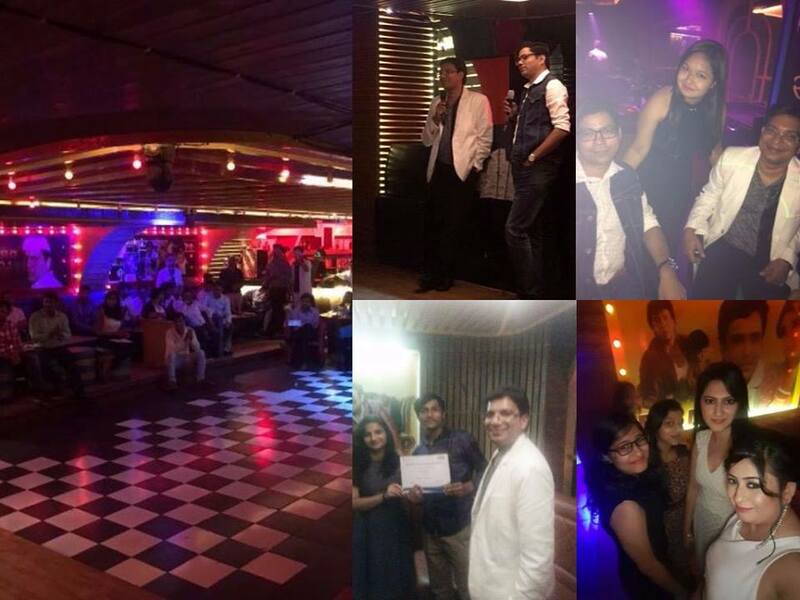 Our Managing Partner, Ankit Jain was invited to a networking event "German Meat Mission to India" where he associated with like-minded people and also got an opportunity to expand the business prospects for future. 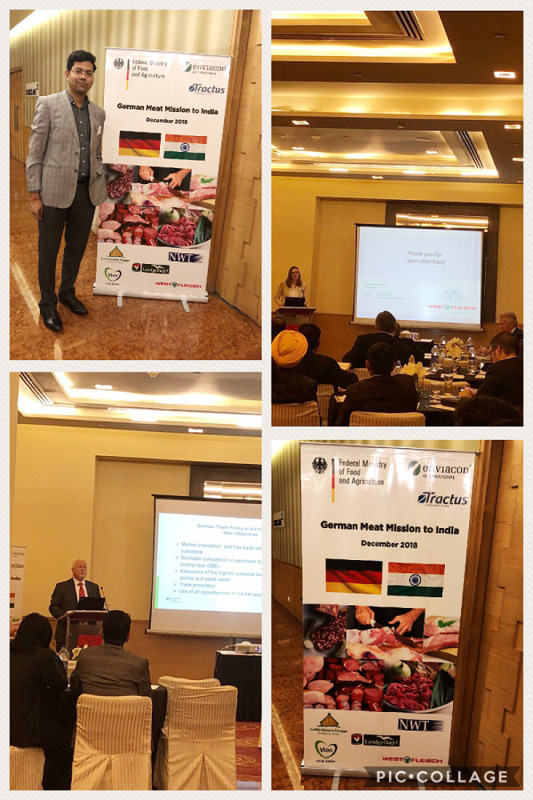 German Meat Mission to India is an event which is part of an export initiative promoted by the German Federal Ministry of Food and Agriculture. The symposium took place to facilitate the common exchange of information between German and Indian stakeholders as well as to support a mutual interest in doing business. Work for today, plan for tomorrow, party tonight! AJSH & Co LLP and Mercurius Advisory Services celebrated the accomplishment of a decade of hard work and persistence on November 24, 2018. 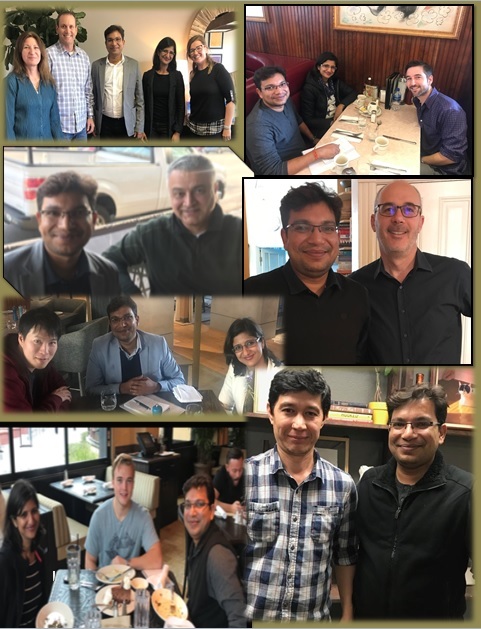 Ganesh vandana marked the commencement of the evening followed by exemplary rewards appreciating and recognizing long-service team members or those who displayed outstanding proficiency in their area of expertise. 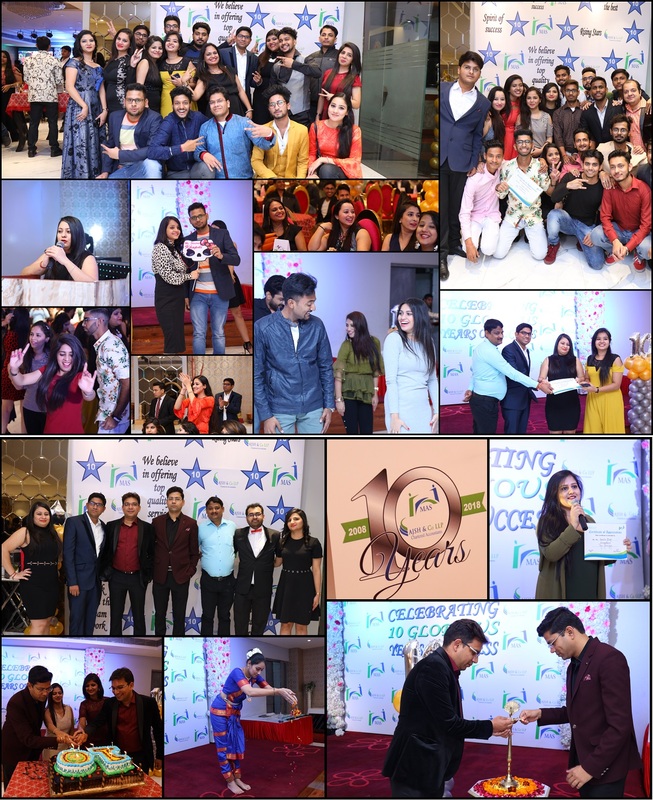 In their welcoming remarks, our co-founders, Mr. Ankit Jain and Mr. Siddhartha Havelia recollected organization's journey, hardships faced by it as well as numerous achievements over the past 10 years and credited all colleagues for their diligent efforts and contributions. Exquisite poetry and majestic dance performances were the key lime lights of the evening. Everyone was transfixed by the mesmerizing shayari and guitar performance by the team members. Here is a glimpse of the evening that left an indelible imprint in the lives and mind of everybody witnessing the gala event. Diwali being one of the prestigious festivals in India is celebrated at AJSH with utmost enthusiasm and joy. This year also we all witnessed and engaged ourselves in a day full of alluring decorations, competition of best dressed attires and sublime dance performances. We all believe that festivals like these ignite the spark in each one of us to stay motivated and perform with utmost aplomb throughout the year. "Appreciate where you are, what you have and who you associate with." At AJSH, we believe that acknowledging each other for the tasks we do is the most crucial part of keeping the team happy. And a blissful team will also be an asset for the organization. 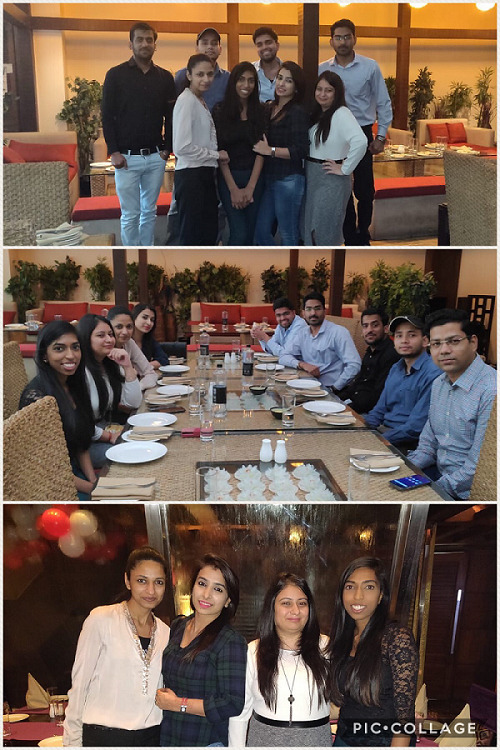 Hence, as a gesture of reward and recognition we hosted a lunch party at Lotus Leaf on 1st November'18 for the dedication displayed by the team on completion of targeted cliental mark across the globe. At AJSH, we believe that it is essential on the part of the management and workforce of the organization to maintain meticulous and vigorous relationship with the people we execute our business with, not just in the present but for times to come as well. 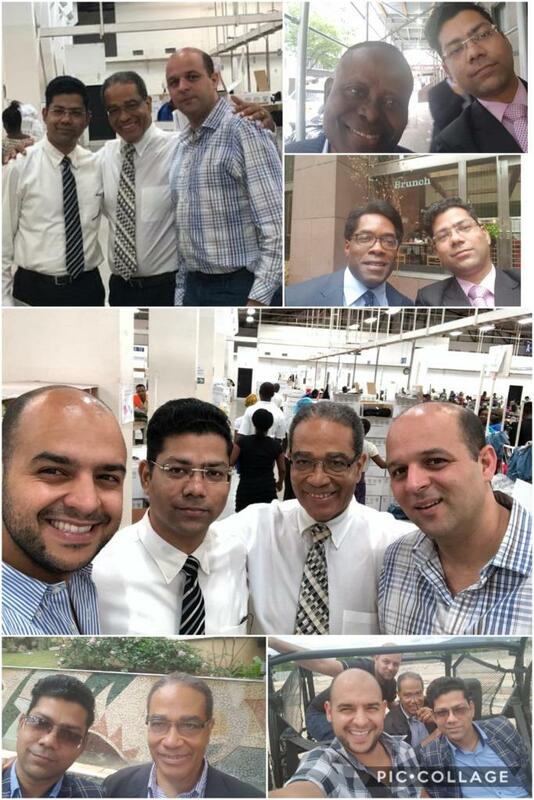 Mr. Ankit Jain, Managing Partner of AJSH & Co LLP had a successful meet and greet in Haiti, North America and New York, USA with our present and prospective clients regarding furtherance of the firm's business domain. AJSH & Co LLP represented India in a webinar on “A Piece of the BRICS: Brazil and India” held by TIAG, a worldwide alliance of independent accounting firms on March 21, 2018 for its members. 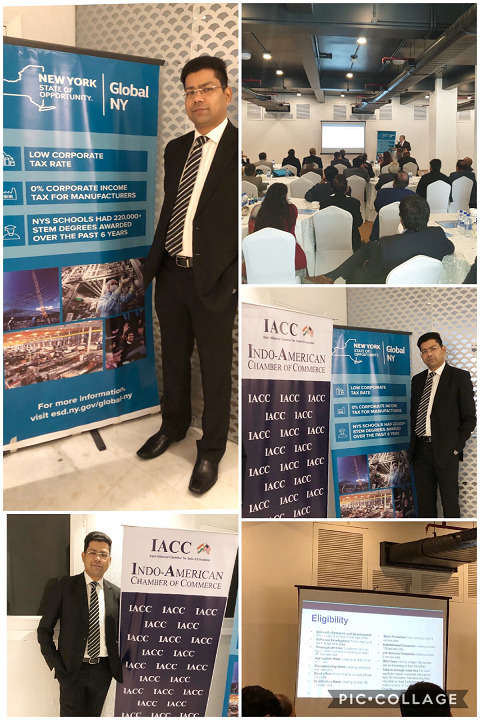 Ankit Jain, Managing Partner of AJSH & Co LLP was the presentor from our firm and contributed a presentation about India stating the unlimited investment opportunities available in India, recent initiatives taken by government to ease doing business and promote FDI in India. Also, elaborating growth drivers and reasons to invest in various sectors in India, ways to enter in India, India tax framework and a brief about our firm. To find out more about the webinar, please find below the link to our presentation and recording from the webinar. AJSH invited Mr. Vijay Agarwal, a corporate advanced excel trainer who has been awarded as a Most Valuable Professional (MVP) by Microsoft to conduct an excel training for the AJSH team. Microsoft's Most Valuable Professional Award is a prestigious award given to all the public contributors in their professional fields. Vijay Agarwal is a Chartered Accountant as well as Company Secretary who is having more than 20 years of post-qualification experience in various industries in different verticals like Accounting, Budgeting, Financial Planning, ERP and MIS Reporting. He possesses expertise in conducting Advance Excel seminars for corporates and professionals and has conducted seminars at various branches of ICAI. His trainings helped the team to understand the excel tricks and automate complex processes of various clients by using excel tools. At AJSH, we believe that these competencies need to be developed and strengthen at successive intervals of time to continue to the momentum of enhanced professional expertise and self-awareness. 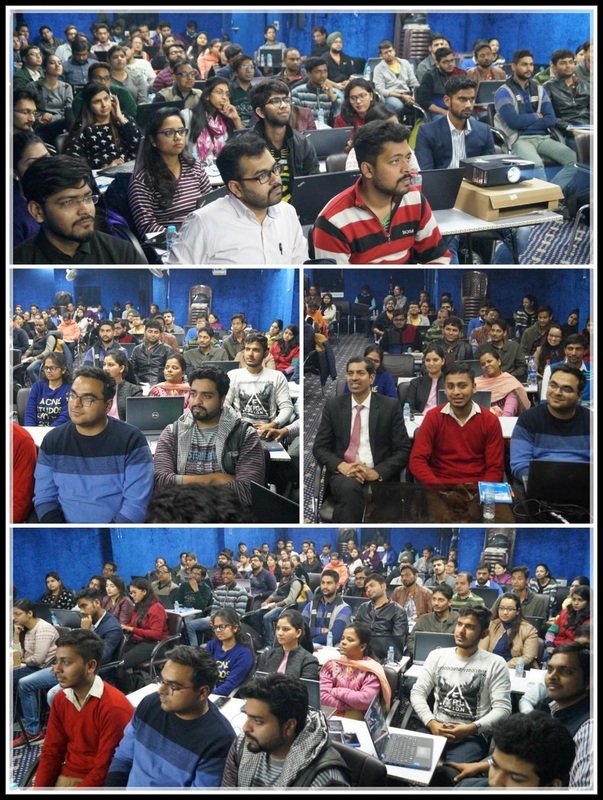 AJSH & Co LLP organized a program for the training and development of its professional and qualified team members with regard to the adoption of IFRS and Ind-AS. Anhsul Jain is a member of ICAI and possesses expertise in delivering corporate trainings on accounting standards adopted across globe. He carries extensive professional experience and has worked with Big 4 accounting firms (Pricewaterhouse Coopers, KPMG and Ernst & Young). 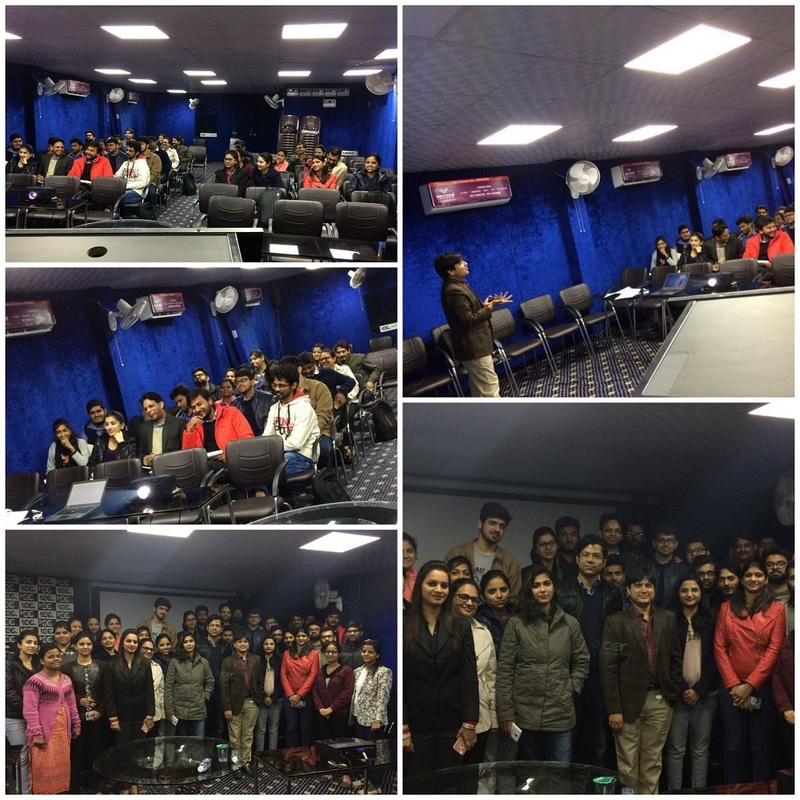 Anshul provided an insight and practical guidance on IFRS, Ind-AS and financial reporting. Since significant changes are being envisaged in the financial reporting standards, the training will help our team members in providing accounting and financial reporting advice and support to our audit and non-audit clients on a wide range of transactions and events, including adherence to new or revised accounting standards and effective management of the financial reporting processes. 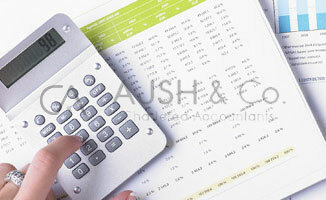 India is converging to IFRS and Indian IFRS standards (known as Ind-AS). This transition from Indian GAAP to Ind-AS is a historic and a landmark change. 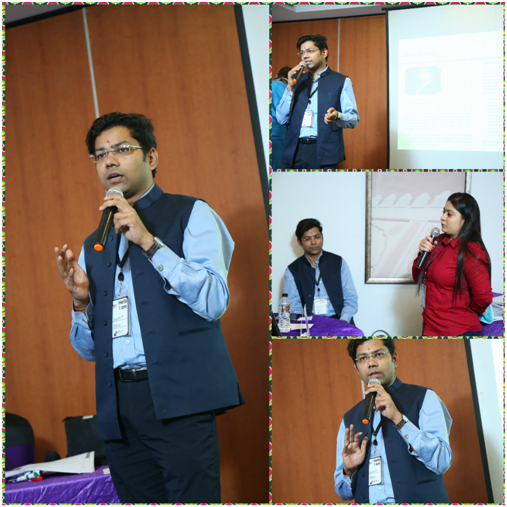 Ankit Jain, Director of AJSH & Co LLP, presented a talk on GST – Implementation Challenges & Remedies. The presentation covered the important aspects of the recent changes facilitated by GST council, GST on Services from Goods Transport Agency (GTA), GST on Job Work, Sale of Pre GST stock, GST on Exports, E-way Bill, Reverse Charge Mechanism, Increased Compliances and Challenges, Other Challenges, etc. Mr. Jain guided the mass to combat the initial challenges of GST implementation by taking professional consultancy, using appropriate software for return filing and get the Get LOU issued for exporting without payment of IGST. AJSH Co. LLP and Mercurius Advisory Services celebrated its 9th Annual Day on 16th September, 2017. The evening viewed wonderful performances by the employees, followed by Rewards and Recognitions. Great excitement and vibrant talents were visible all around. Here is glimpse of the event. 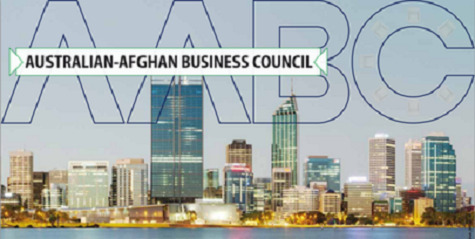 AJSH & Co LLP affiliating the Australian Afghan Business Council’s 3rd Business Conference on Afghanistan in Australia 2017 co-organized by Afghan Chamber of Commerce & Industries (ACCI) on 26-27 April 2017. AJSH & Co LLP hosted the Adam Global Asia Pacific Regional Conference in New Delhi, India from March 24-25, 2017. 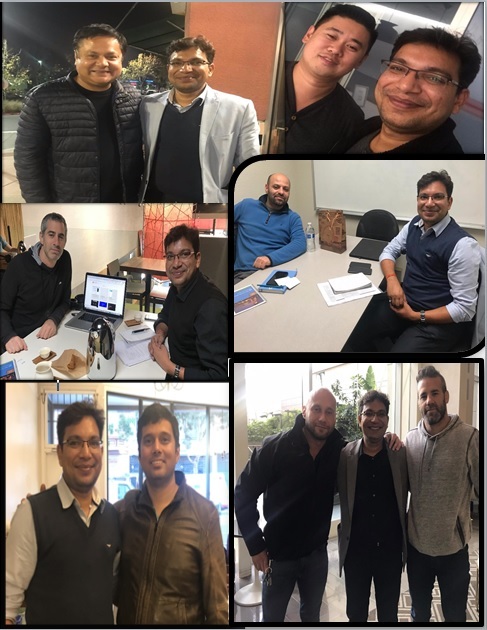 Each year, ADAM Global Regional member firms assemble in a different global metropolis for 2 days to share ideas, identify areas of collaboration and build relationships with fellow member firms. 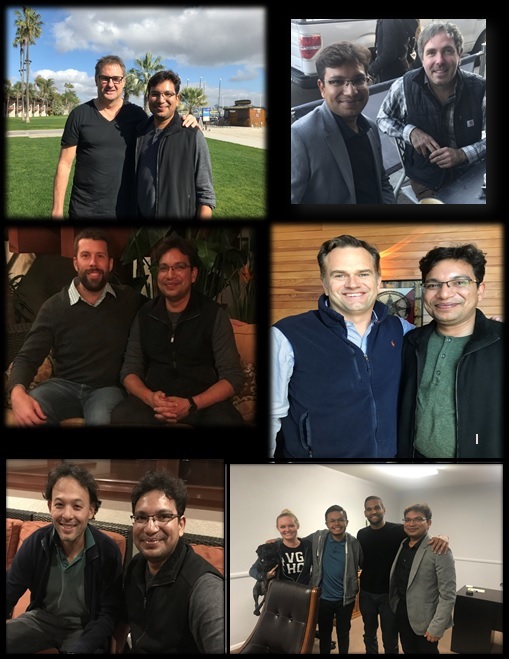 Ankit Jain was invited to speak in the Chrysalis Entrepreneur Forum (CEF) where he delivered a 45 min speech on Opportunities in India in various field of manufacturing, real estate, infrastructure or any new Businesses. Title:"Member firm of TIAG®, A Worldwide Alliance Of Independent Accounting Firms"
AJSH & Co LLP and Mercurius Advisory Services (MAS) is now a part of TIAG®, world's 3rd alliance of independent accounting firms with more than 110 members in over 60 countries. 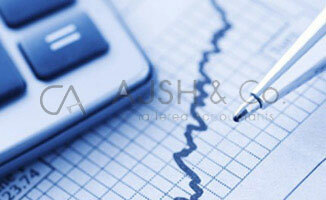 For listing, TIAG Listing AJSH & MAS shall represent TIAG for North India. 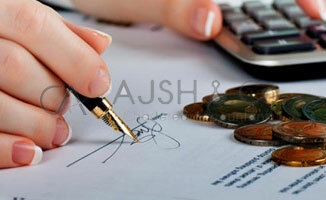 AJSH got ISO 2001:2008 certification in June 2012. Mr. Ankit Jain, Partner of AJSH & Co LLP., has been nominated by Accounting Standard Board of The Institute of Chartered Accountants of India as member of Study Group for Upgrading of existing Accounting Standards on the basis of corresponding of Ind AS.